Rosa Moreno, the legendary nurse in Ecuador who spent three decades treating children and others afflicted with cancer in the area of Chevron's oil pollution in the Amazon rainforest, has now herself succumbed to cancer, the Amazon Defense Coalition reported on Wednesday. One might reasonably question whether Chevron's refusal to clean up its pollution in Ecuador played a role in this tragic event. Moreno, a splendid human being well-known to those of us who write The Chevron Pit, died this week in the Amazon village of San Carlos after a two-year battle with the illness. Moreno, 55, had hosted a long line of celebrities -- including Brad Pitt and the actor Trudie Styler -- in her tiny health clinic in the town of San Carlos as she tried to sensitize the world to the plight of people who won a historic $9.5 billion judgment against Chevron in 2013. Moreno was mostly known as a person who tried against all odds to stave off the impending health disaster with her compassionate care of young children. Her clinic was a short walk from her house, and she was often found there seven days per week. Moreno meticulously kept a handwritten log of people in the clinic who had died, often without receiving proper treatment given the paucity of doctors in the area. The list in recent years had grown to dozens of names -- many young children -- even though only 2,000 people lived in the town. Each name on the list had a date of birth and date of death scrawled in Moreno's distinctive script. I firmly believe Rosa and many others like her in San Carlos would not have died had Chevron mets its legal and moral responsibilities to the people of Ecuador. 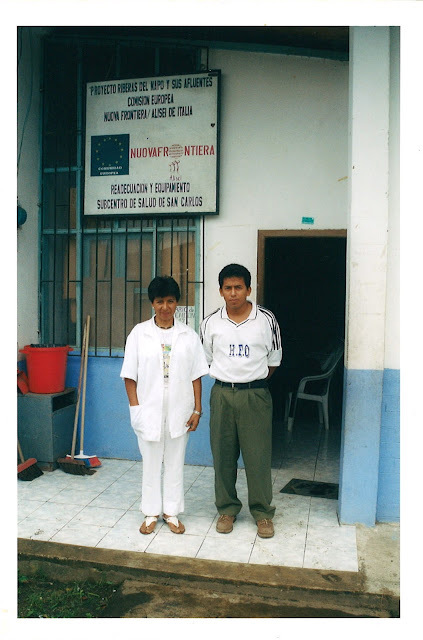 Rosa's death, like those of many others in Ecuador, was entirely preventable. 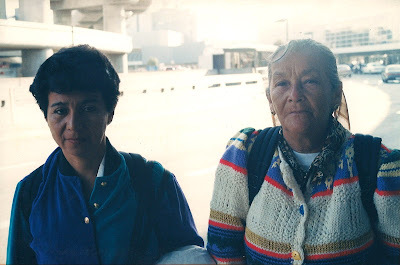 Chevron should provide compensation to her family and medicine and diagnostic equipment for the San Carlos clinic, in addition to remediating the abysmal environmental conditions that continue to put innocent lives at risk. Moreno's legacy will live on in many ways. Many of the celebrities who visited Moreno in her clinic took action to alleviate the human suffering and to protest Chevron's outrageous behavior. They include Styler, who has written articles to call attention to Chevron's human rights abuses and who started a project with UNICEF that has delivered clean water to numerous villages in the affected area. Rep. James P. McGovern (D-MA), the only U.S. Congressman to visit the devastated area, toured the health clinic in 2008 and then vividly described the horrific conditions created by Chevron in a moving letter to President-elect Obama. Bianca Jagger went to Chevron's shareholder meeting and gave the company's CEO hell in a blistering speech. Berlinger's film included Moreno and scenes from her clinic. Karen Hinton, the former press secretary for New York City Mayor Bill DeBlasio, has hounded Chevron for its irresponsible behavior in Ecuador in a series of blogs published on The Huffington Post. And Donziger -- a classmate of Barack Obama from Harvard Law School -- has been a thorn in Chevron's side for more than two decades, as his own writings illustrate. If you have any doubt about the cause of Moreno's death, look no further than the numerous independent studies that demonstrate Chevron's toxic legacy has produced skyrocketing cancer rates in the area where she lived. One study from a former Rand Corporation analyst predicts 9,000 deaths in the affected area in the coming years if Chevron refuses to remediate the disaster. For more on Texaco and Chevron's dastardly behavior in Ecuador, see this video. Although Chevron's management team surely never thought it possible, Rosa was among the many impoverished Ecuadorians who banded together and fought for years before finally holding the company legally accountable in 2011 after an eight-year trial. In a paradigmatic breakthrough in the human rights area, several prominent corporate law and litigation firms around the world signed up to represent the villagers. And in 2013, Ecuador's Supreme Court unanimously affirmed the trial court ruling in a 222-page decision that meticulously documented the overwhelming evidence against Chevron. Although the lawsuit originally was filed in the U.S., the trial was held in Ecuador at Chevron's request and the company willingly accepted jurisdiction there. Of course, Chevron thought it could engineer a political dismissal by pressuring Ecuador's government. That unethical strategy backfired. Chevron's continued obstinance -- it sold off its assets in Ecuador during the trial and has vowed to fight "until hell freezes over" -- forced Rosa and her friends to try to seize company assets in Canada to pay for their clean-up. That country's Supreme Court recently backed the villagers in a unanimous opinion. Chevron is now facing its own ticking time bomb in court. Rosa, your legacy will inspire the affected communities and their allies around the world to fight on until Chevron pays the court judgment in full and the responsible individuals are held accountable for their misconduct.